In the aftermath of the oil crisis of 1973, regional political groups concerned with environmental issues began to put up candidates in communal and regional elections. 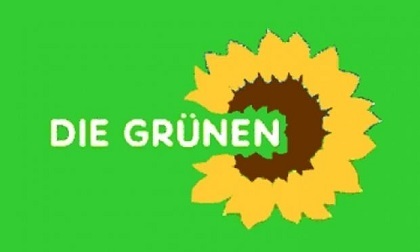 In 1980 a number of ecological groups, alternative action movements, and various women’s rights organizations banded together on the national level to form the political party that came to be called the Greens (Die Gruenen). Although the political views of the various groups in the new party were widely diverse, all agreed that the continuous expansion of the economy was detrimental to the environment and that disarmament was imperative if mankind were to survive. The Greens’ support for radical peace movements and their demand that the FRG withdraw from NATO prevented many West Germans from taking the Greens seriously as a political force. In the Bundestag elections of 1980, they could muster only 1.5 percent of the vote, not enough to win any parliamentary seats. 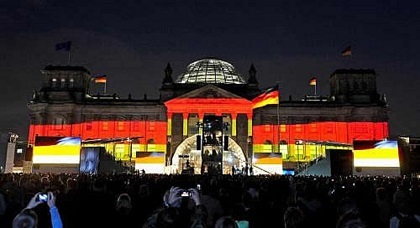 In the 1983 elections, however, they broke the 5 percent barrier and won twenty-seven seats in the Bundestag. Differing ideological orientations within the Greens soon began to undermine the party’s effectiveness in the political process. Two different factions emerged: the dogmatic fundamentalists (Fundis), who were unwilling to make any compromises on policy in order to win political allies; and the realists (Realos), who were ready to enter into a coalition with the SPD on the communal and Land level in order to put environmentalist ideas into practice. Another cause of disagreement within the party organization of the Greens was the principle of rotation of seats in the Bundestag and in Land diets. This policy required deputies to give up their seats after only half a term so that other Green candidates would have an opportunity to participate in the political process. As a result, experienced representatives who understood the workings of parliament were forced to relinquish their seats and were relegated to subordinate work in the party. Such unrealistic policies persuaded numerous talented Green politicians to withdraw from active politics, or to leave the party altogether. In 1984 a party leadership consisting only of women was elected, giving the Greens an image of practicing reverse discrimination. Although the Realos among the Greens subsequently participated in Land governments as cabinet members, the party remained on the periphery of politics during the remainder of the 1980s. Nevertheless, the Greens positively influenced the views of the traditional political parties concerning the ecology and the preservation of natural resources.